Vienna (AFP) - Archeologists in Austria said Thursday they had found what they believe to be Europe's oldest prosthetic implant in the shape of a wooden foot dating from the sixth century. 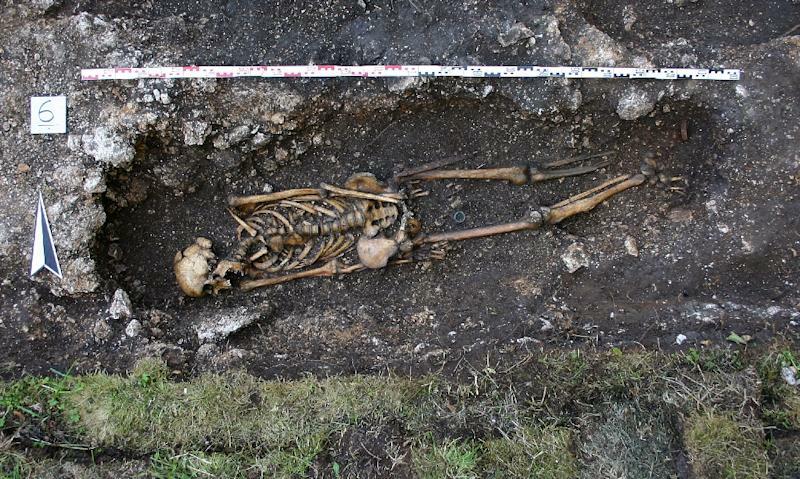 The discovery was made in the grave of a man missing his left foot and ankle at Hemmaberg in southern Austria. Instead at the end of his leg was an iron ring and remnants of a clump of wood and leather. "He appears to have got over the loss of his foot and lived for two more years at least with this implant, and walking pretty well," Sabine Ladstaetter from the Austrian Archeological Institute (OeAI) told AFP. The skeleton of what appears to have been a high-ranking Frankish figure was discovered in 2013, but it is only now that the "very, very surprising findings" about the foot have emerged, she said. "The infection risk alone would have been extremely high, which shows how good the medical treatment was. And don't forget this was at the edge of the civilised world in the sixth century," Ladstaetter said. Until pagan Slavs arrived in the 7th century, Hemmaberg was the most important Christian pilgrimage site north of the Alps containing six churches. It was rediscovered in the early 20th century. The OeAI is part of the Austrian Academy of Sciences (OeAW).